I will be a part of the Easter play at my church. Believe it or not, I will play Jesus. If you'd like to attend, please do join us at The Kansas City Church of Christ. It is located at 10250 Quivira Road Lenexa, KS. 10:00 AM Sunday morning. 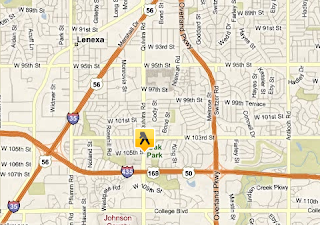 The church is just north of 435 on Quivira (between the highway and the Oak Park mall) on the NW corner of 130rd St. This from Jerome Corsi who has been watching the unfolding North American Union. No members of Congress attended the meeting. The meeting agenda included topics reviewing the Security and Prosperity Partnership of North America, or SPP, and the U.S.-EU Transatlantic Economic Council, or TEC. Other participants argued regional alliances were still important, if only to put in place the institutional bases that ultimately would lead to global governance on uniform global administrative regulations favorable to multi-national corporations. Before the meeting began, concerns were raised informally by participants worried that the Ohio Democratic Party primary had prompted both Barack Obama and Hillary Clinton to talk of renegotiating NAFTA. Participants at the State Department meeting pointed out U.S. political candidates could be expected to argue "protectionist themes opposed to global economic integration" as a tactic, without necessarily being committed to taking aggressive steps once in office. It seems that India is checking out the technology that Mike from OP was talking about. India said it set up 31 waste-to-energy power projects in eight state and 36 wind power plants in nine states. The Air Force is developing a data-mining technology meant to root out disaffected insiders based on their e-mail activity--or lack thereof, according to an article in this month's International Journal of Security and Networks. And don't think that just because you're the boss you're off the hook. The team tested Enron's e-mail archive and uncovered several individuals who represented potential insider threats. Granted, none of them were the bosses who had done all the damage, but the researchers were confident that with full access and by turning a "domain on its ear" the software would ferret out potential malefactors and whistleblowers alike.